As a retired trial lawyer from Georgia, Ken Lander has extensive experience in advocating client's interests on long-term projects as well as in complicated litigation in both the private and public sectors. After 14 years of the practice of law, Ken decided to move with the entire family to a coffee farm in Costa Rica. 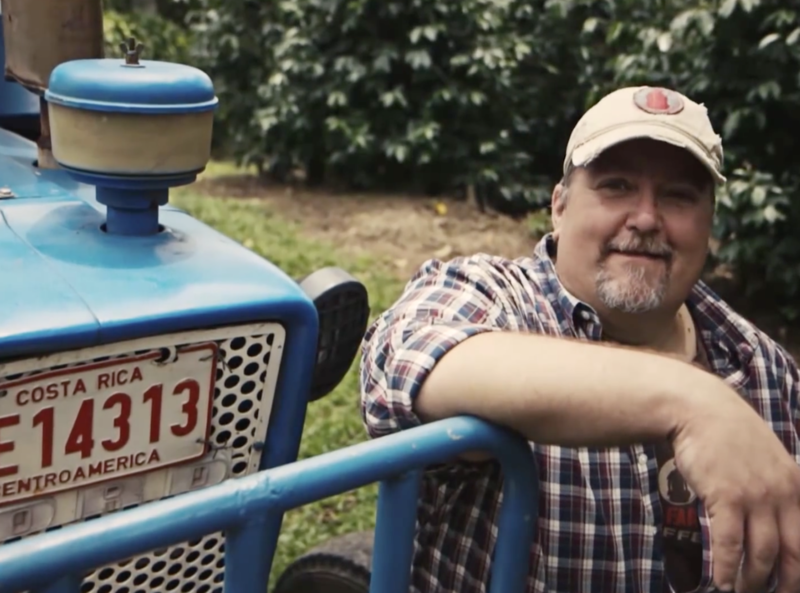 With the transition from trial lawyer to coffee farmer, Ken quickly began to understand the injustices that farmers face in the current value chain of coffee. 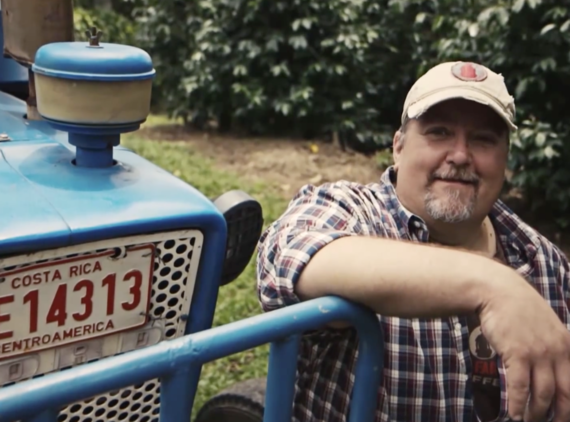 With the combination of Ken's never failing passion for advocacy and his new found vocation as a coffee farmer, Ken decided to make the case for the coffee farmer and to reveal the truth about your morning cup. THRIVE Farmers is the direct result of Ken starting the San Rafael Sustainable Coffee Initiative in mid-2010 with other farmers in his coffee-growing community. The SRSCI became the initial local platform and test case for the farmer in San Rafael. THRIVE Farmers was the natural next leap to take the case of the coffee farmer to the entire world. As Chief Sustainability Officer of THRIVE Farmers, Ken seeks to find, advocate and project the voice of the farmer and to tell the world that a new day has come in the world of coffee. His passion to stand and advocate on behalf of his fellow coffee farmers has found its place in THRIVE Farmers. Prior to law and farming, Ken was a marketing director with Feld Entertainment, Inc. working in public relations and marketing for Ringling Brothers and Barnum & Bailey Circus and Walt Disney's World on Ice. There is no coincidence in life, only Providence. A past experience in public relations, the practice of law, the passion for advocacy, and now coffee farming all are being brought to bear in Ken's life to make THRIVE Farmers the connection between the coffee farmer and the lover of coffee. IMPACT for me means an increase in real dollars in the pockets of the farmers who grow our coffee. I continue to hear the industry talk about social and environmental aspects and concerns in farming, but I have personally seen that the real social and environmental impacts can only occur when farmers make incomes that allow them to invest in the lives of their families, their farms and their communities. Only with this stability can they dream for a bigger, more influential future. The first half of my life as a lawyer was a vocation. Working to effect change in the lives of farmers is my calling. I get up every morning with a call to go forth and be part of this mission. One cup at a time, really. The average coffee drinker only sees a glimpse of the power of coffee. Through thousands and thousands of conversations with our stakeholders, we have learned that consumers want to feel connected to the men and women who produce their products, but they often don't know what that process even entails. Coffee farmers also want to know the people who are enjoying the fruits of their labor. When consumers and those who grow their coffee are connected financially and personally, the greater mission to transform the coffee industry grows more attainable. It all comes down to awareness and choice. My dad. He died when I was seven. It would be great to know him now with me the same age as he at the time he became my father. I am the father of seven kids, and it would be great to sit and have his thoughts and perspectives for my life. IMPACT at Thrive Farmers happens one great cup of coffee at a time. We are actively pursuing like-minded companies that want to have impact in the world, asking them why they would use any coffee other than Thrive Farmers. A company can create enormous, positive change in farming communities by voting with its dollars and making purchasing decisions by understanding what is really happening economically in supply chains. That material wealth is nothing. I lost all of my money in the real estate crash in 2008. We need money to live and thrive and fulfill our calling, but we do not need money to be fulfilled. In fact, too much is a burden, and it empties you bit by bit over time. Find your passion, your calling, your purpose and push forward without abandon, knowing that fulfillment comes from loving people and putting them before yourself. Before you open your mouth, before you frame a response, before you feel you need to make a course correction with someone, just stop and ask God to let you see that person through His eyes. I guarantee your response will be different, and your effect on that person's life will be different. What trait do you most admire in people? Quietness and stillness. Inner strength. I am a talker, and I am amazed by how the introvert can process an issue and speak very little, but with authority.